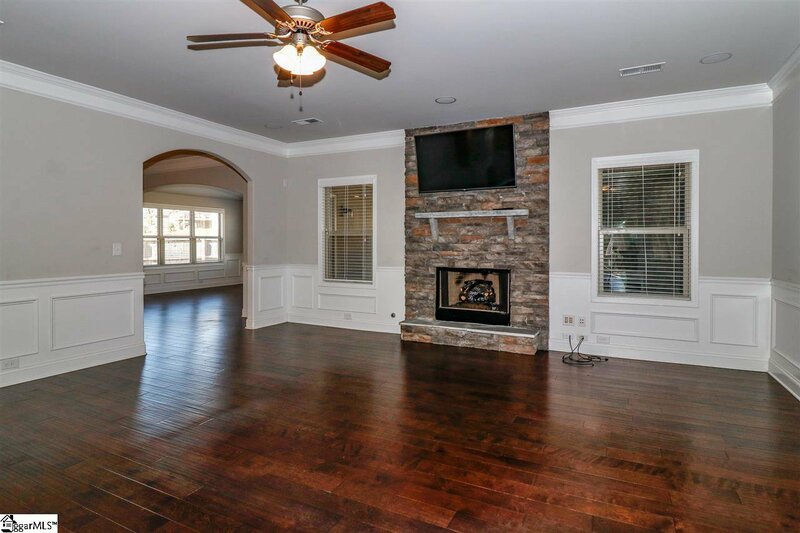 This home is PERFECT for Entertaining! 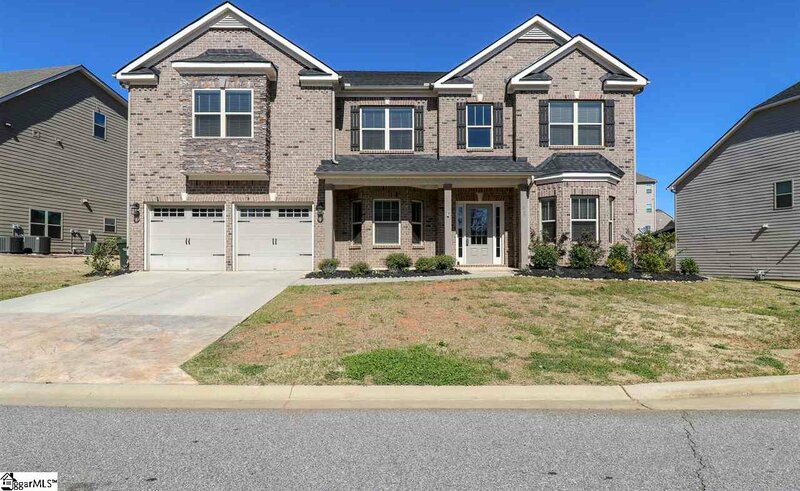 Like New 5 bedrooms, 4 Full bathroom house, located in Greer, SC, just minutes from GSP, I-85, and convenient to Michelin and BMW. 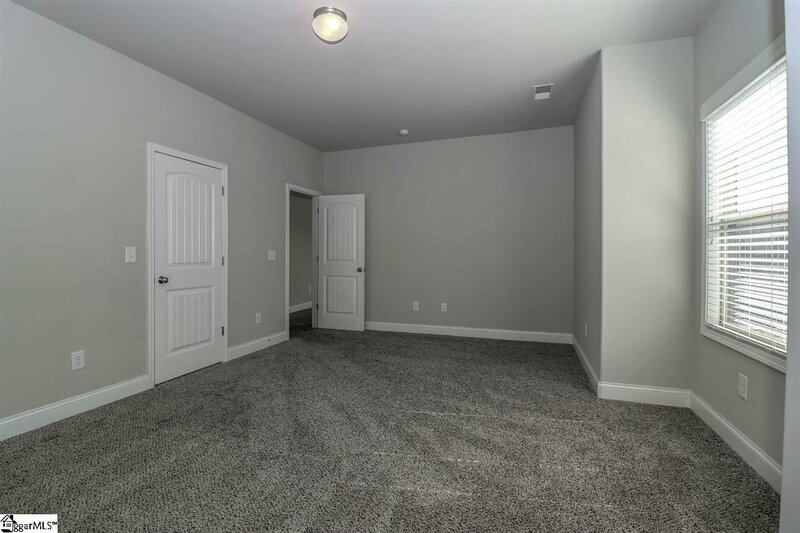 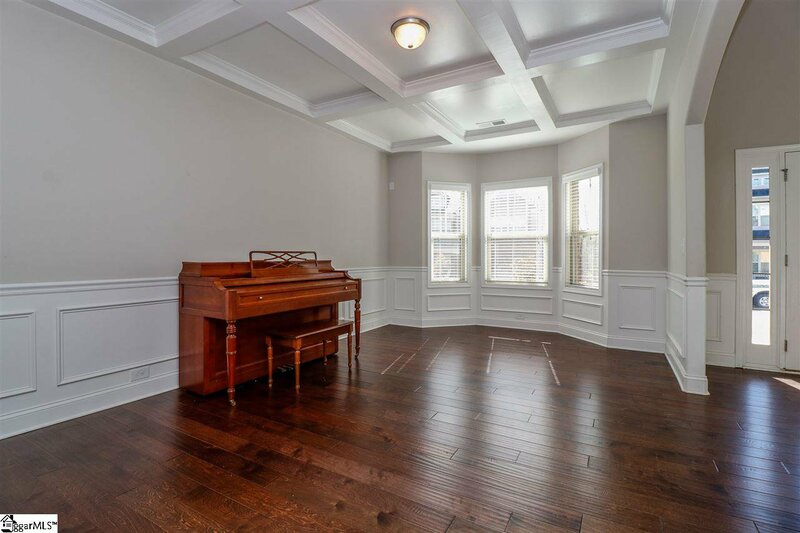 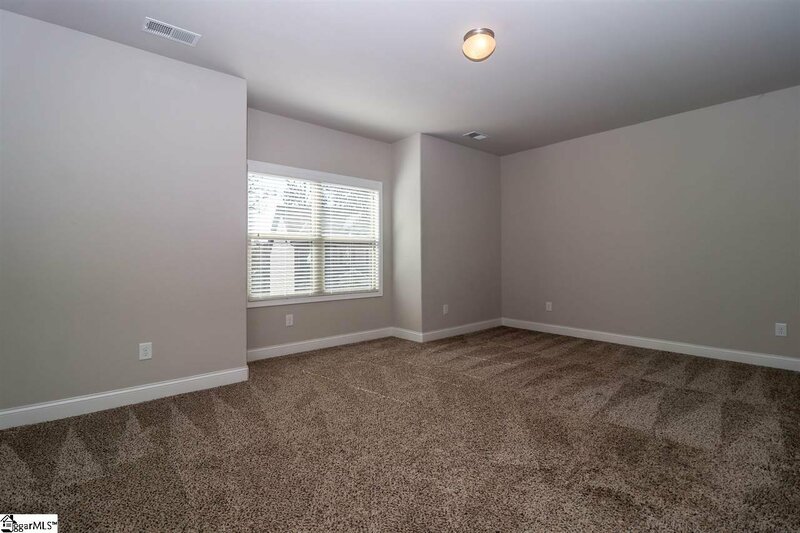 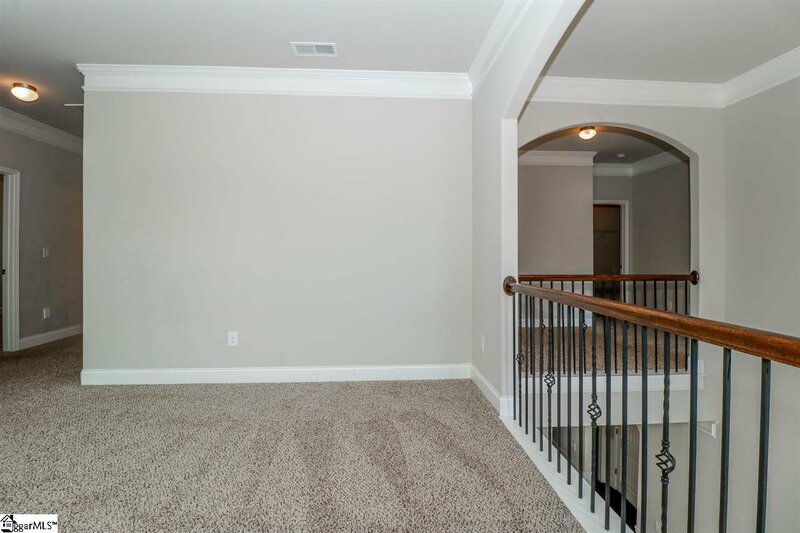 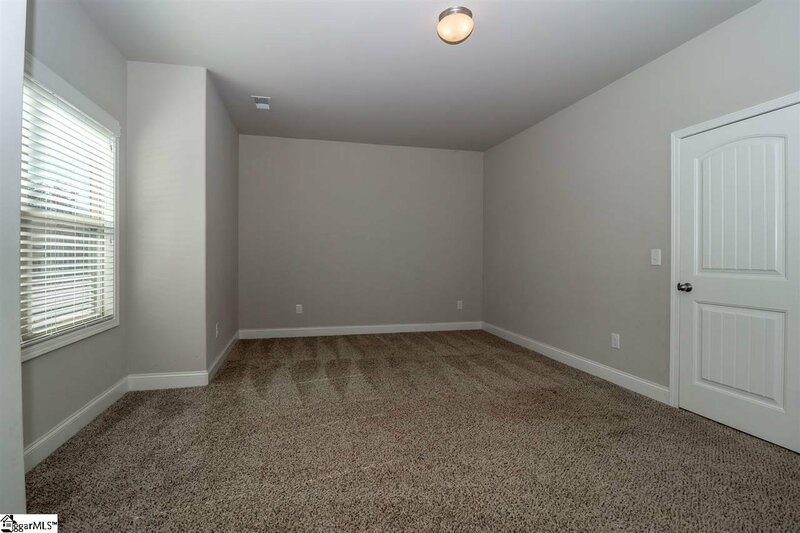 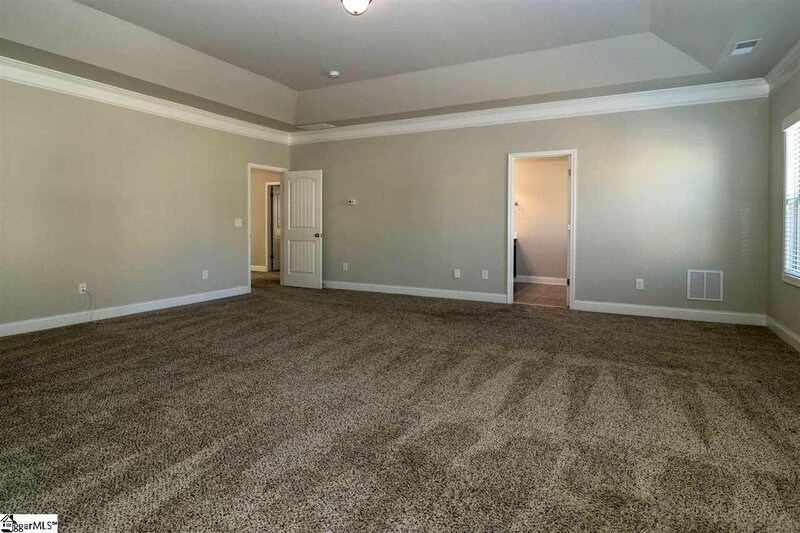 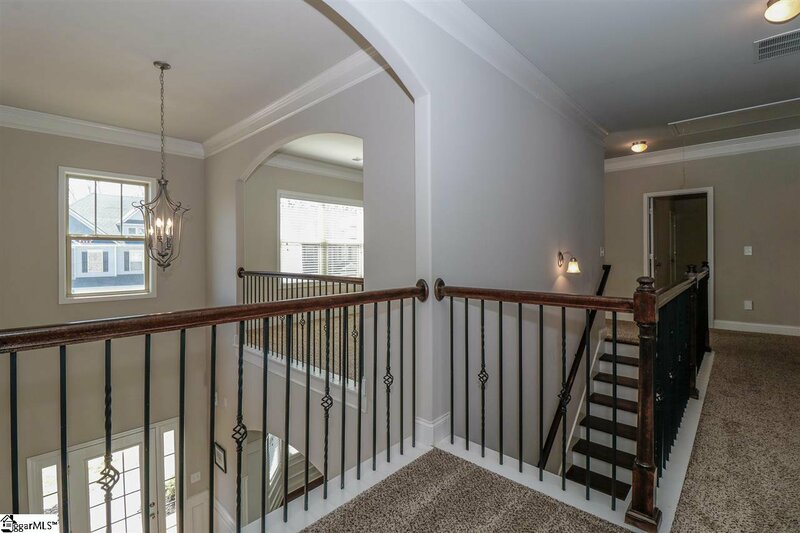 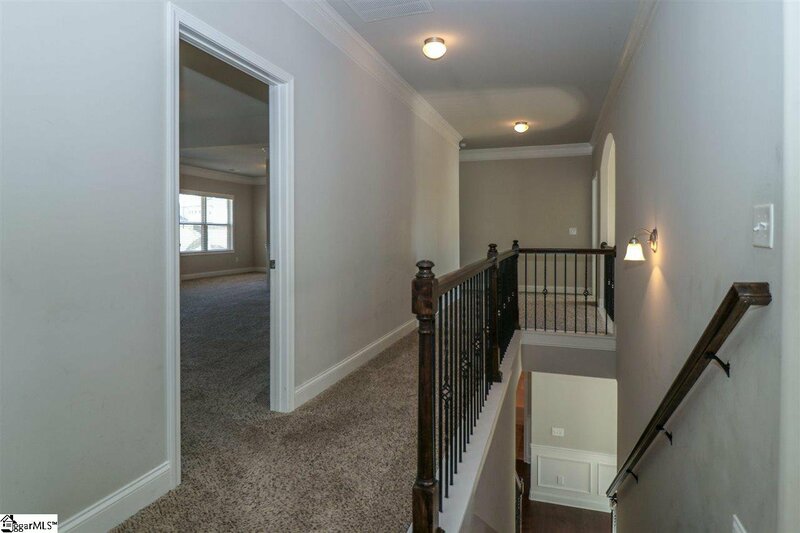 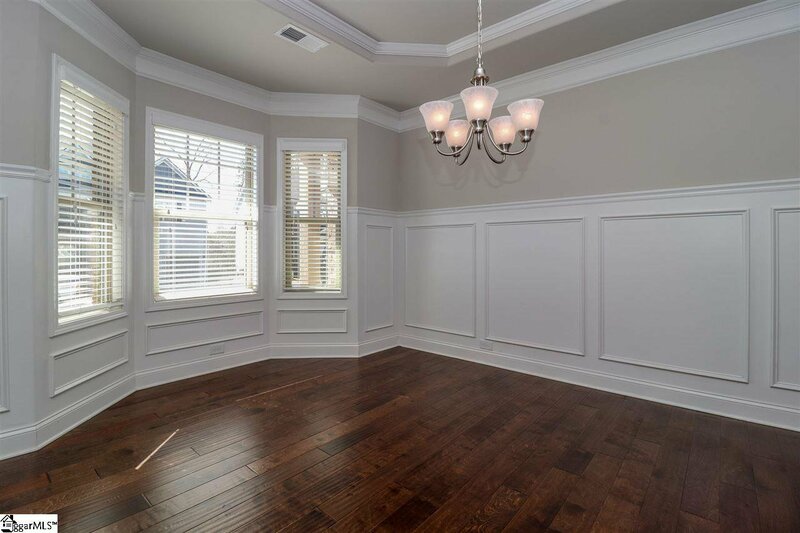 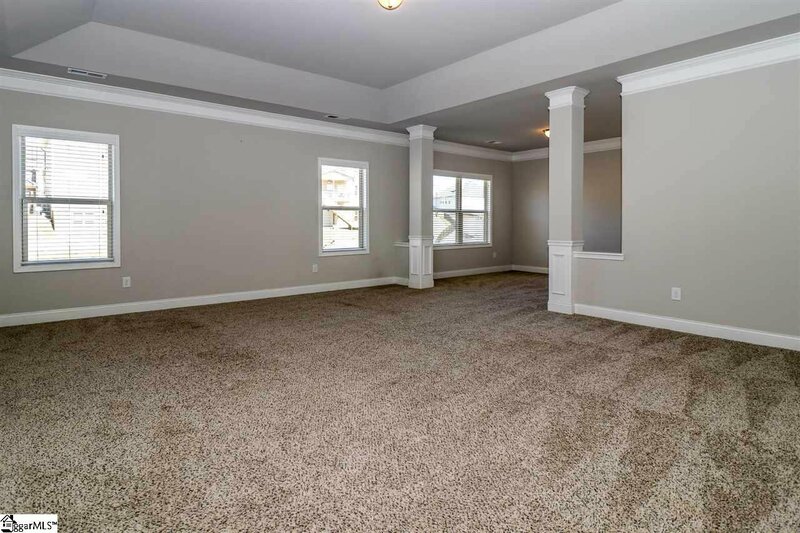 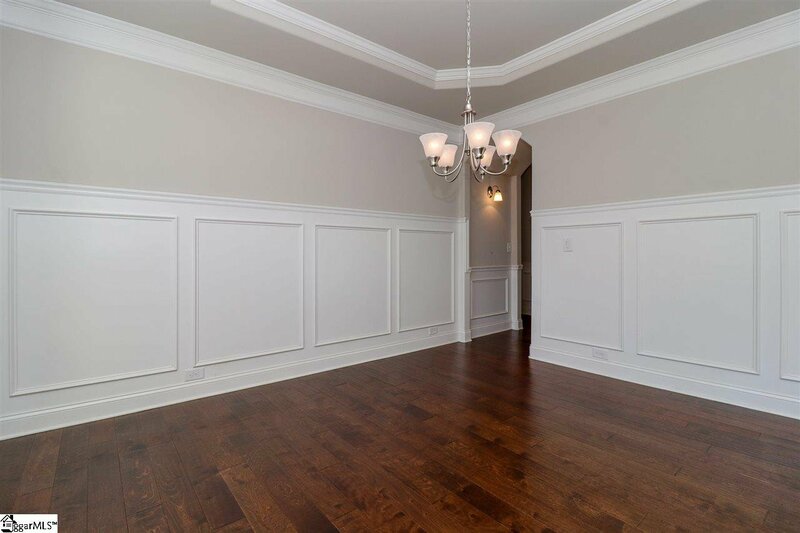 Walk up through to the front porch to a nice, bright, open entry way to find the formal dining room to the left and sitting room to the right, both with coffered ceilings. 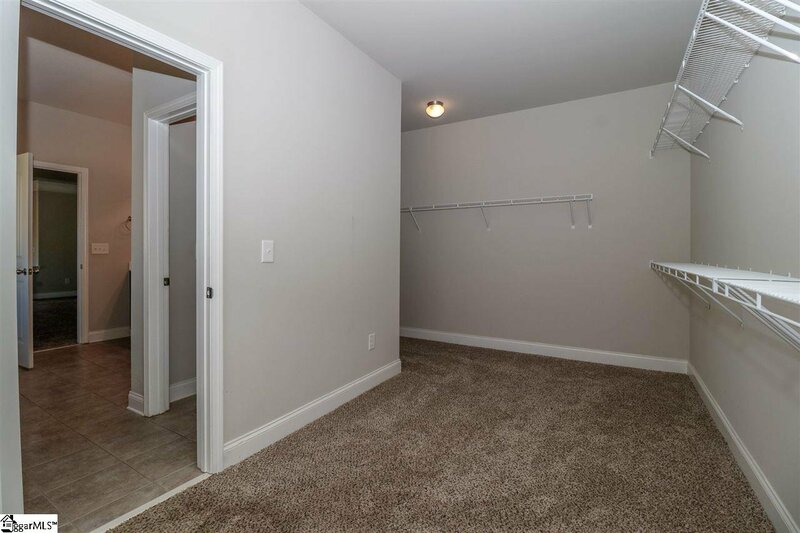 Walk through hall to find a full bath and bedroom. 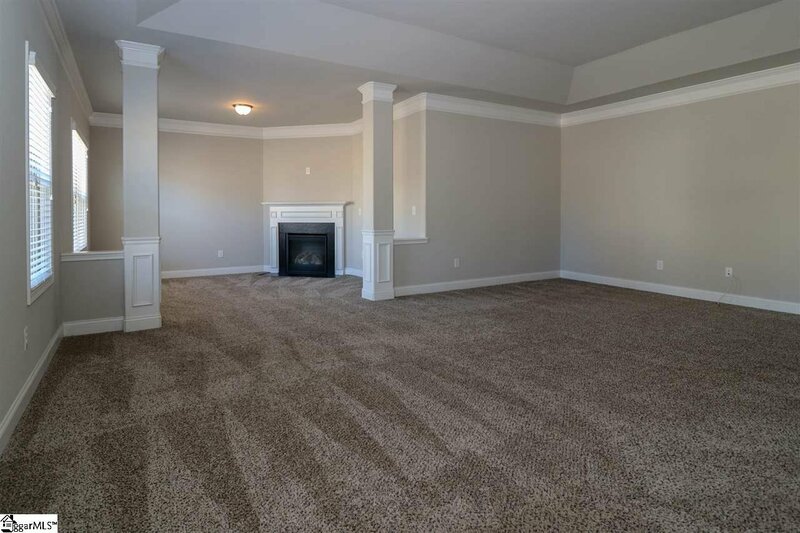 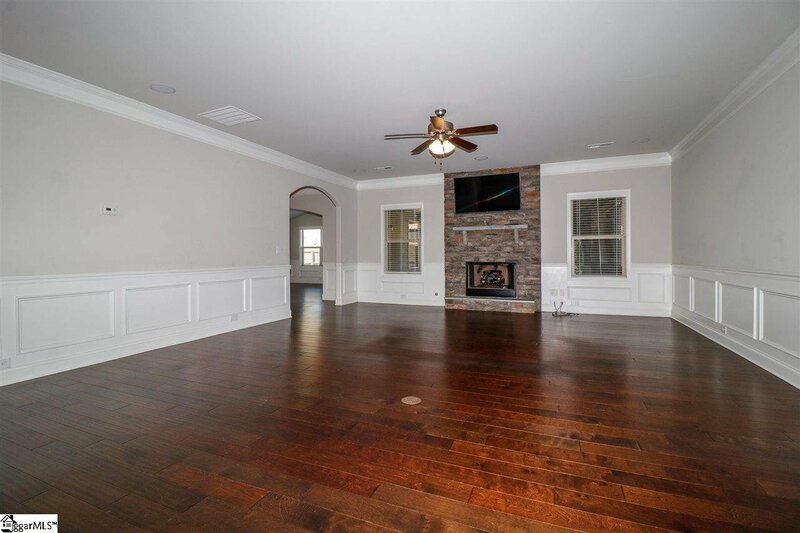 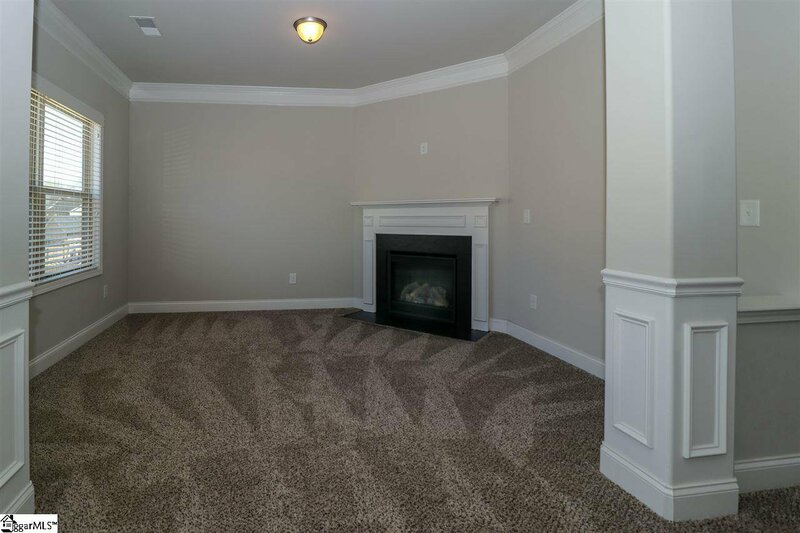 The Great room features 1 of 4 gas fireplace, coffered ceiling, and ceiling fan. 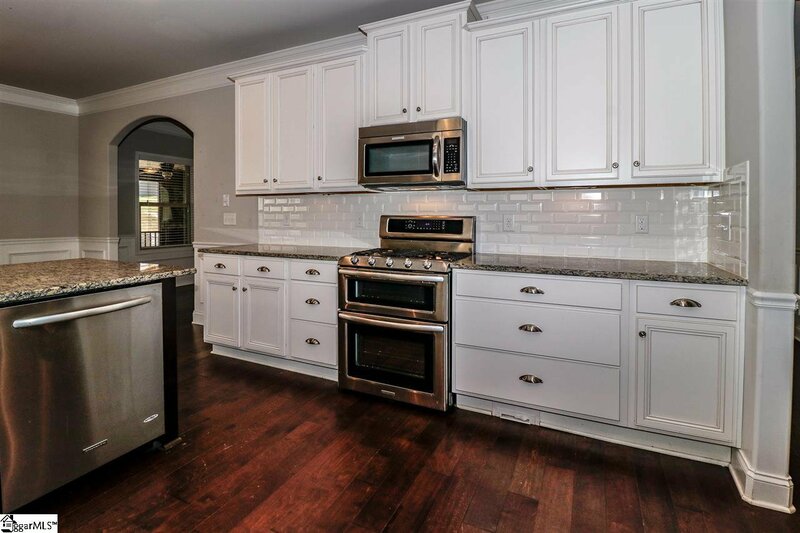 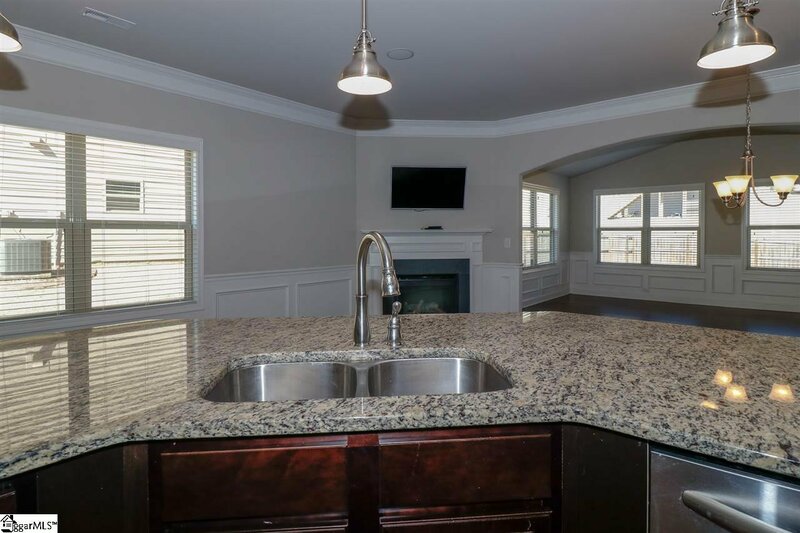 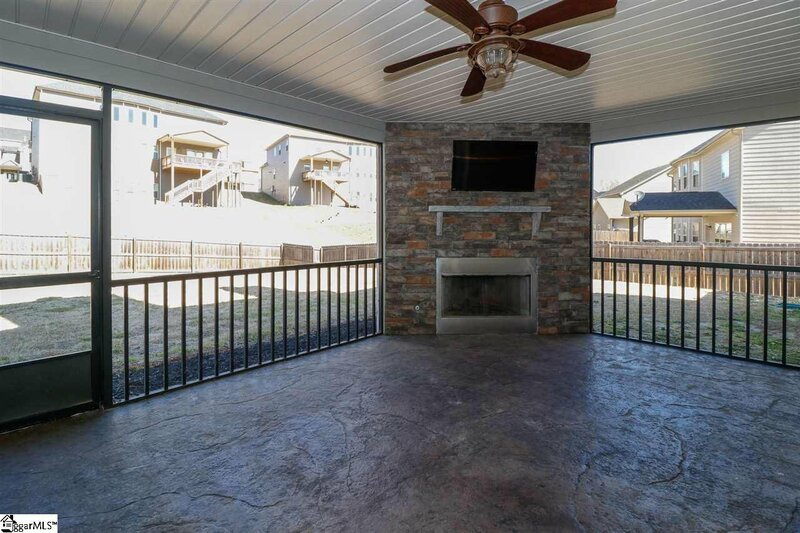 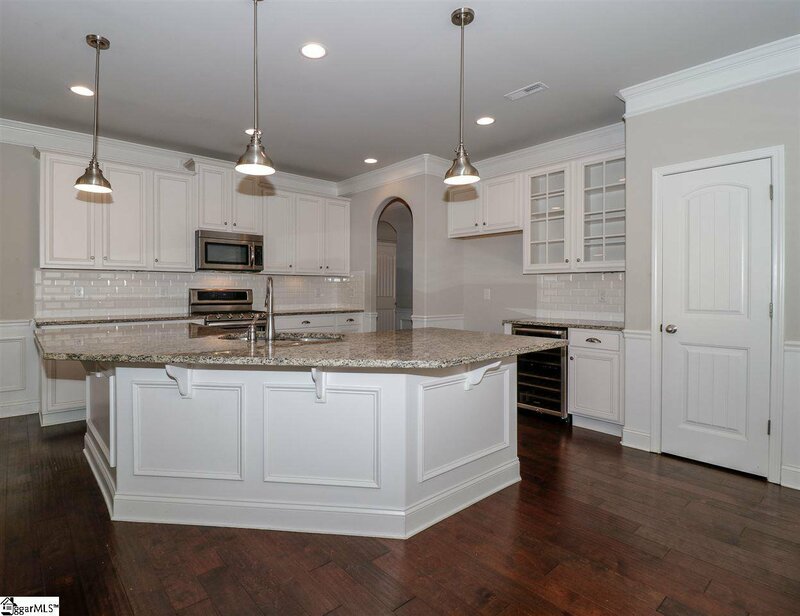 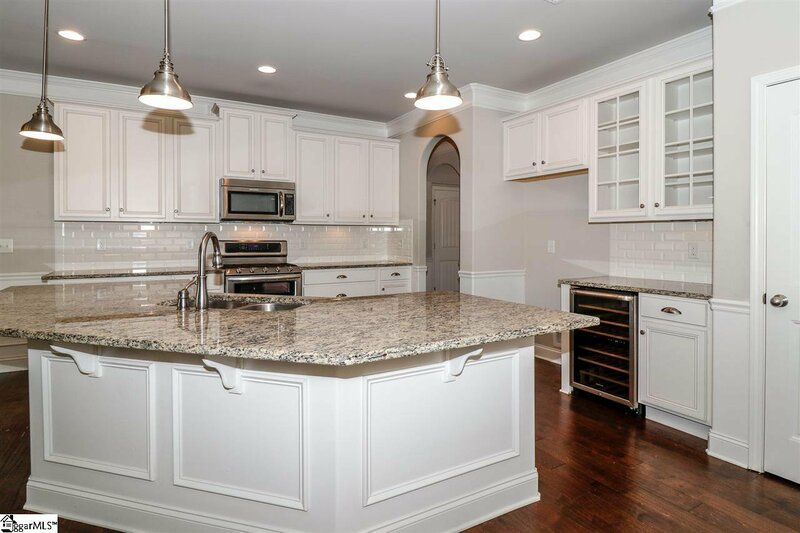 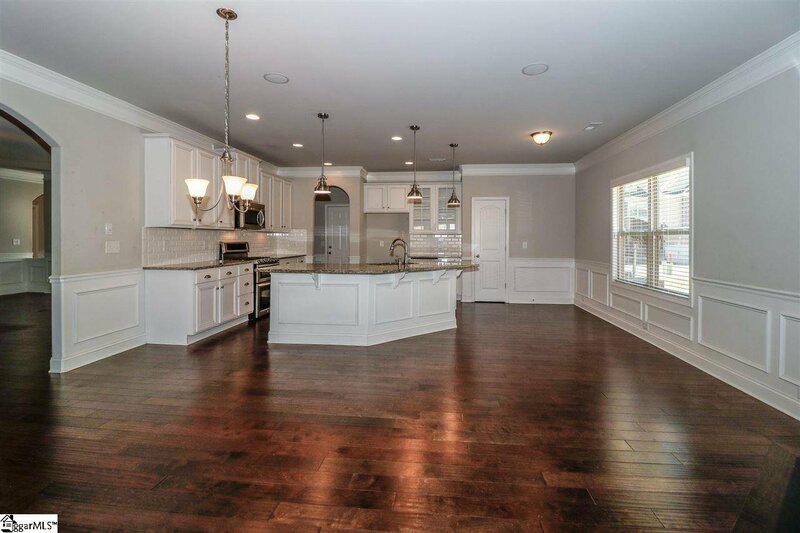 In the large, open kitchen you will be greeted by large granite island, tons of cabinets, gas range, built-in oven, wine cooler, pantry, another gas fireplace and opens to the bright, sun room, that leads to the screened-in porch with cable hook ups and outdoor gas fireplace. 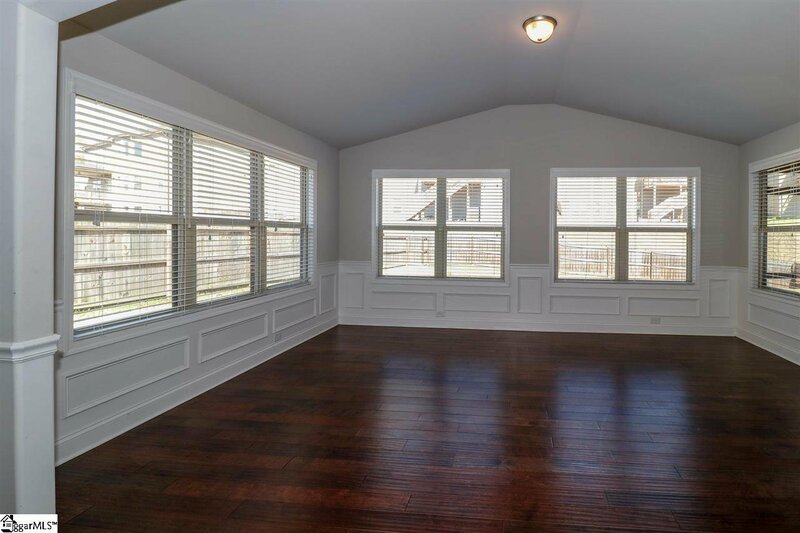 Hardwood floors throughout the entire 1st floor. 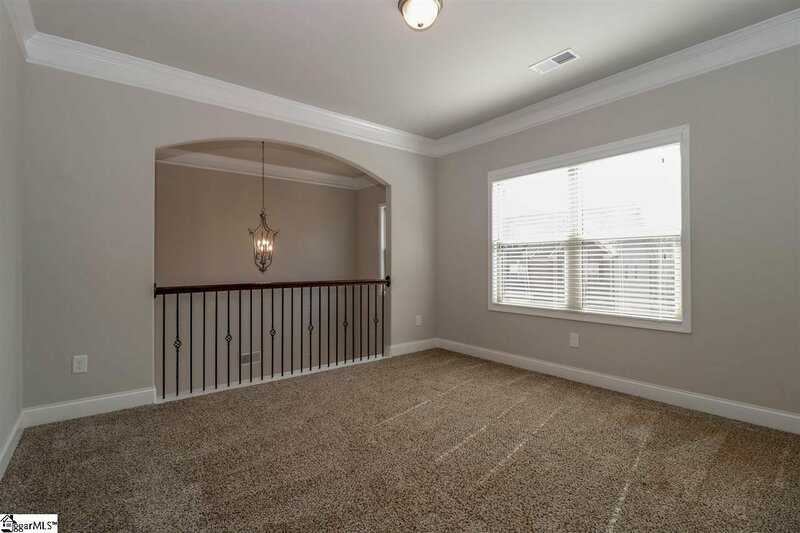 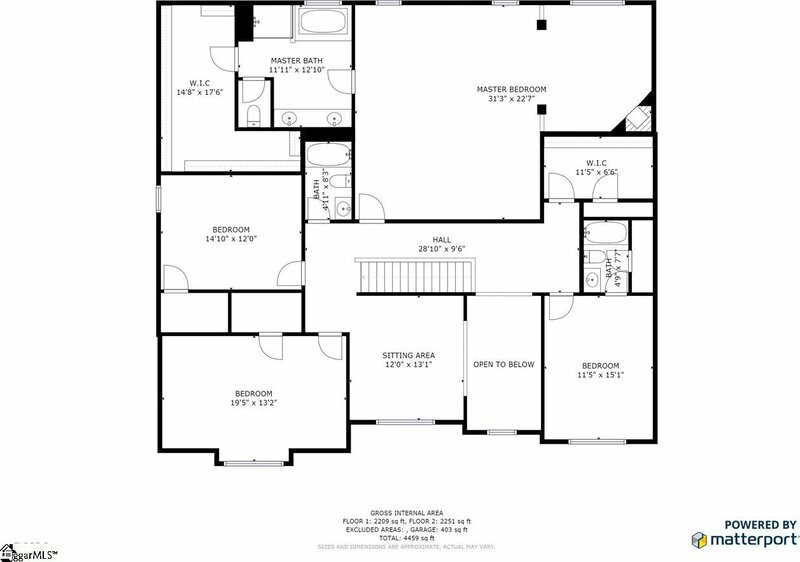 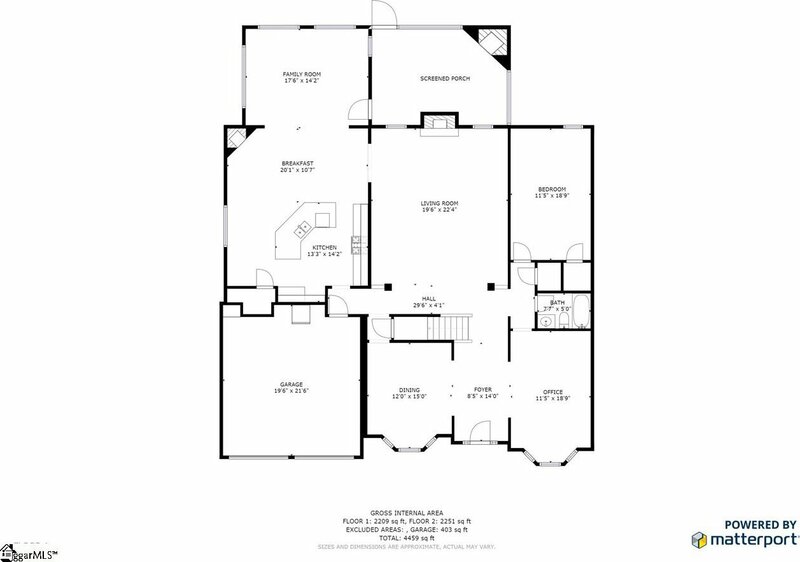 Walk Upstairs to find a loft area to the left, along with 2 of the 3 additional bedrooms, and full bath. 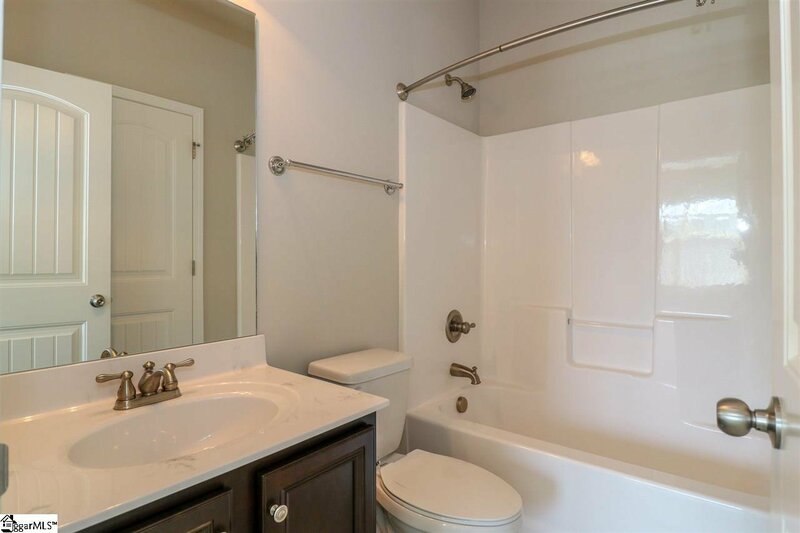 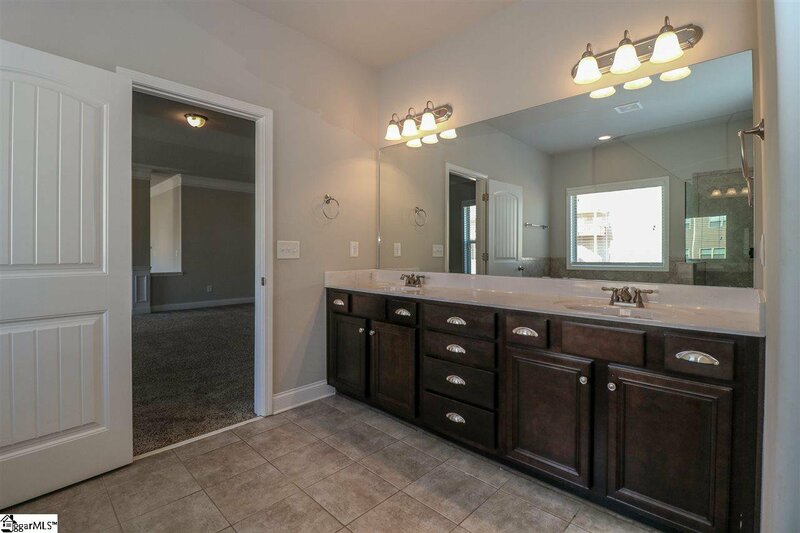 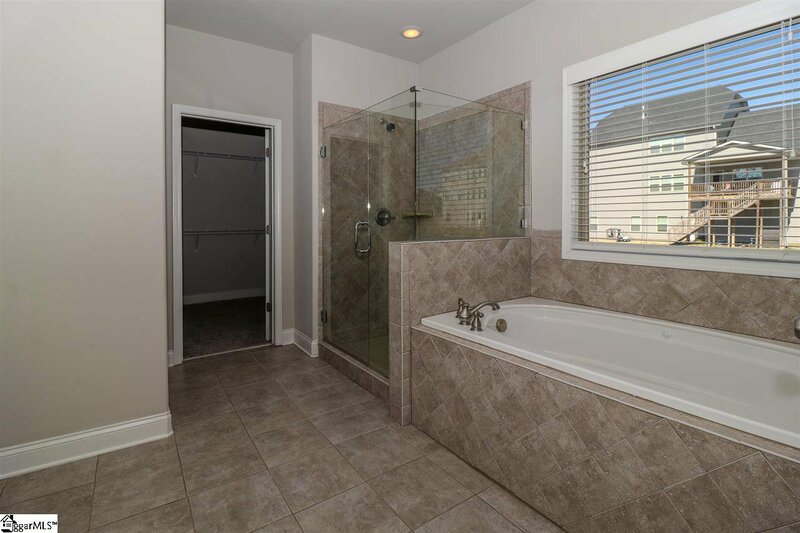 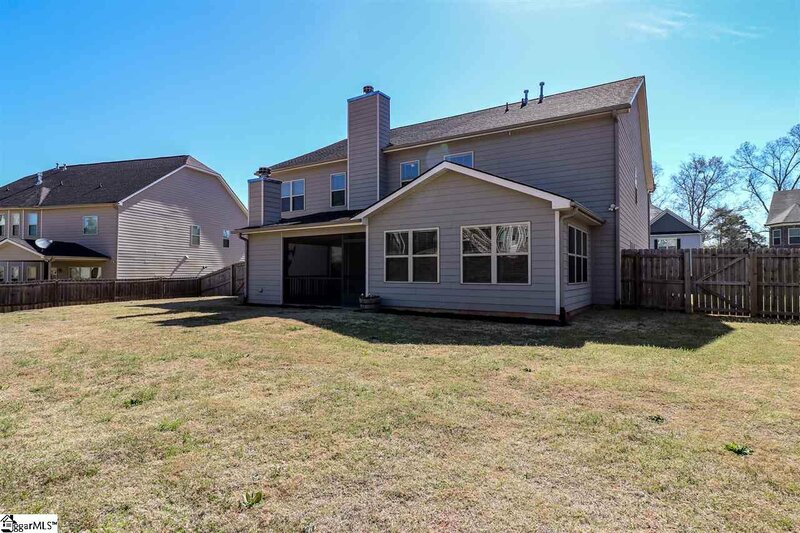 Walk in to the HUGE master bedroom complete with trey ceiling, additional sitting area w/gas fireplace, over-sized master bathroom with double vanity, tiled walk-in shower,tile surround garden tub and massive walk-in closet. 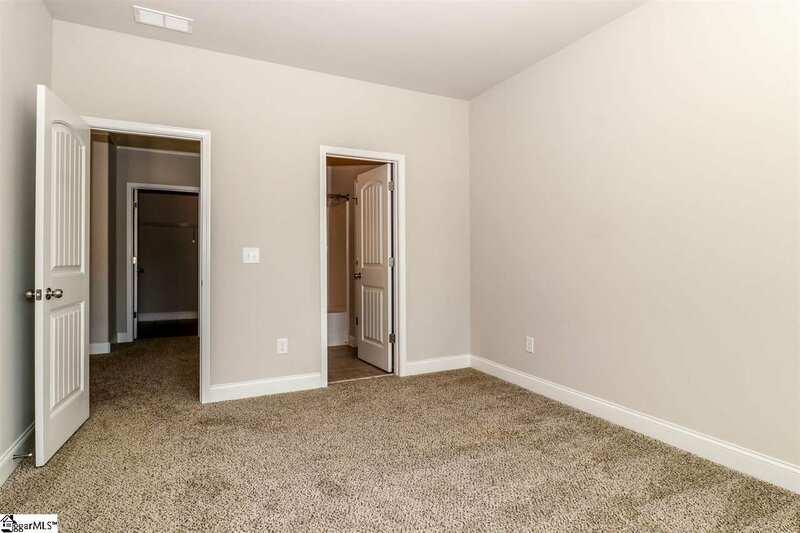 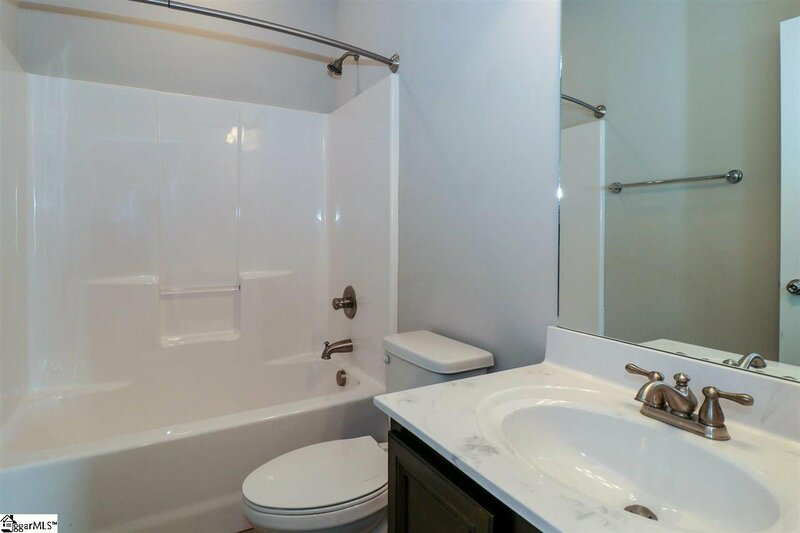 Down the hall you will find the 4th upstairs bedroom, full bath, and walk-in laundry room. 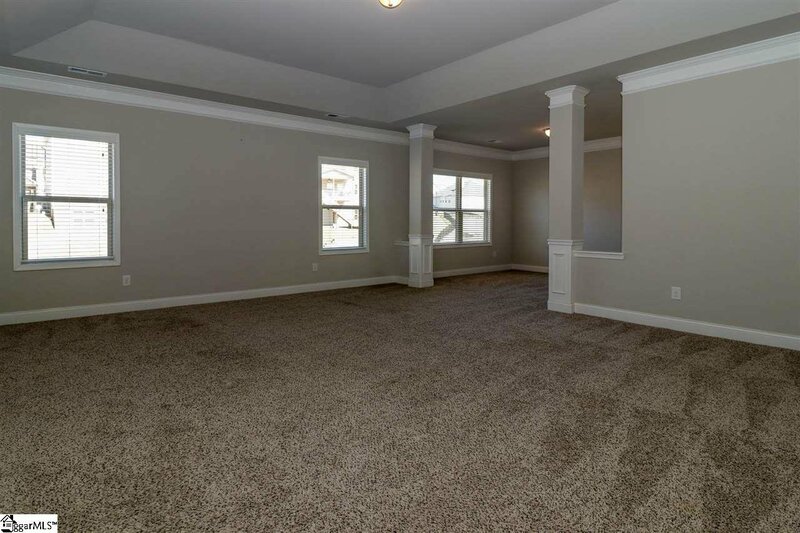 This home has a fenced back yard, 2 car garage and sits on the outside of a cul-de-sac. 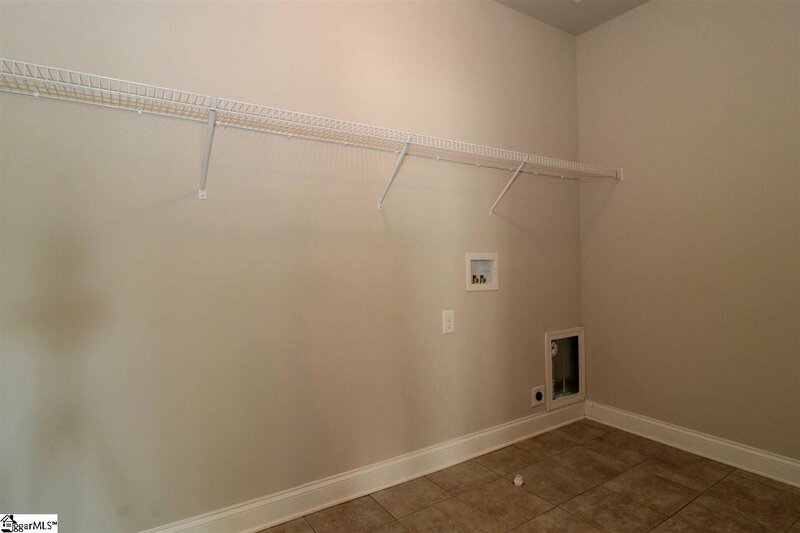 Listing courtesy of Profound Real Estate.